7 Ways to Quirk Up a Rather Boring Wardrobe! If you’re bored with your wardrobe, and are busy scrambling to procure ensembles that will allow you to keep your “fashionista” tag intact, we’ve got some fail-safe tips for you! Why not experiment and take the quirky route this time around to spice up a boring wardrobe? And not just when headed to that after-hours soiree, but also for a meeting with your client. Designers Rixi Bhatia and Jayesh Sachdev of Quirk Box, a fresh and fun label, who are driven by a need to develop unique prints and bring a sense of innovation to all their creations, break it down for us! 1. 3 quirky items every woman must possess? 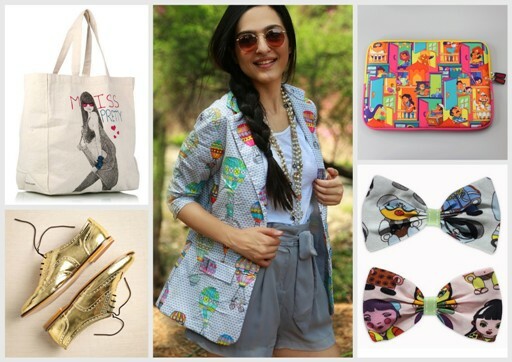 A statement jacket, a maxi dress that can also be used as an Indian fusion ensemble, and a pair of quirky shoes! 2. How can one make a boring work look more interesting? Layering! Layering can help you add oodles of fun and quirk to your otherwise mundane office wear. Spice up a classic white bow-tie blouse and figure-flattering pencil skirt in black, grey or navy by layering it with a statement jacket/ vest for a complete look. 3. What are the best ways to wear and style bright colours? Bright colours are a mood-changer and a bold style statement. As fun as they are to wear, the look can go horribly wrong if not coordinated right. Bright colours should be worn as separates with coordinating garments in subtle hues. Never match bright ensembles with your accessories and makeup too. 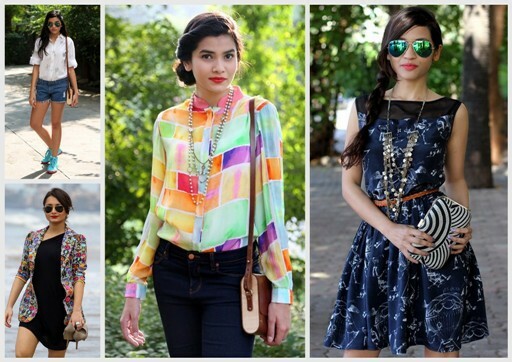 If your outfit is in a loud shade, then opt for pop-hued accessories for the ultimate fashion statement. 4. 3 accessories that one must have right now? We’d pick bow ties and brooch pins as they add quirk to one’s personality. A pair of vintage or retro sunglasses are a must for some old school glam. 5. 5 wardrobe essentials every working woman must have? Vest and jackets that allow fun layering and statement to the final look, a quirky tote or satchel bag, statement accessories like bow ties, belts, brooch pins and jewellery, brogues, a pair classic heels and a cool laptop sleeve or iPad cover. 6. How should one accessorize a quirky outfit? 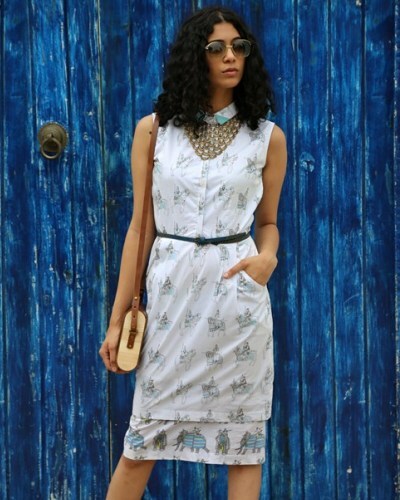 Wear your quirky garments as separates by pairing them with coordinating pieces. Your ultimate look should be a minimal one. Add statement jewellery to match, and finish it with a clean, pulled-back hairdo. 7. How can one add quirk to one’s everyday repertoire? Being quirky means adding your personal identity to the look for an individualistic statement. Accessorize with charm necklaces, brooch pins, bow ties, bags and shoes—anything that can reflect your personal likes, a piece of history, perhaps a memory, an icon you love, a song you sing…. Quirky fashion allows you to experiment and have fun with your style.